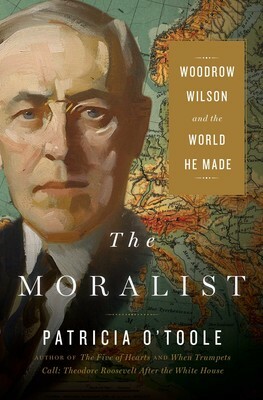 The Moralist: Woodrow Wilson and the World He Made is a penetrating biography of one of the most high-minded, consequential, and controversial U.S. presidents, Woodrow Wilson. In domestic affairs, Wilson was a progressive who enjoyed unprecedented success in leveling the economic playing field, but he was behind the times on racial equality and women’s suffrage. As a Southern boy during the Civil War, he knew the ravages of war, and as president he refused to lead the country into World War I until he was convinced that Germany posed a direct threat to the United States. Once committed, he was an admirable commander-in-chief, yet he also presided over the harshest suppression of political dissent in American history. After the war Wilson became the world’s most ardent champion of liberal internationalism—a democratic new world order committed to peace, collective security, and free trade. With Wilson’s leadership, the governments at the Paris Peace Conference in 1919 founded the League of Nations, a federation of the world’s democracies. The creation of the League, Wilson’s last great triumph, was quickly followed by two crushing blows: a paralyzing stroke and the rejection of the treaty that would have allowed the United States to join the League. The Moralist is a cautionary tale about the perils of moral vanity and American overreach in foreign affairs. Patricia O’Toole has written biographies of Theodore Roosevelt (When Trumpets Call) and Henry Adams (The Five of Hearts, which was a finalist for the Pulitzer Prize, the National Book Critics Circle Award, and the Los Angeles Times Book Prize). A former professor in the School of the Arts at Columbia University, she is a fellow of the Society of American Historians and a member of the Presidential Historical Commission at the New-York Historical Society. She lives in Camden, Maine.